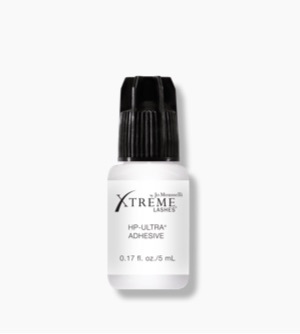 Since 2005, Xtreme Lashes® has been the leading choice for eyelash extension adhesives (lash extension glue) for lash professionals worldwide. As the leading global brand, our adhesive portfolio ranges from high performance eyelash extension glue suitable for sensitive eyes and contact wearers to a variety of specialty adhesive sets and systems. 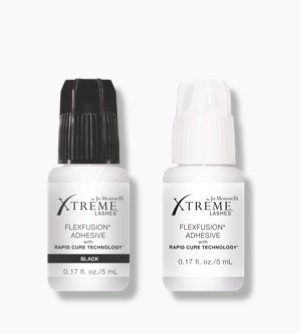 All developed by Registered Nurse Jo Mousselli and a team of team of chemists and expert Lash Stylists from Xtreme Lashes, the brand’s leading best-seller, FlexFusion® Adhesive with Rapid Cure Technology®, is the first and only medical-grade eyelash extension adhesive on the market today. This hypoallergenic adhesive features an exclusive, one-of-a-kind formulation that delivers enhanced drying speed and a thinner, easier-to-use viscosity for expert, seamless attachment. 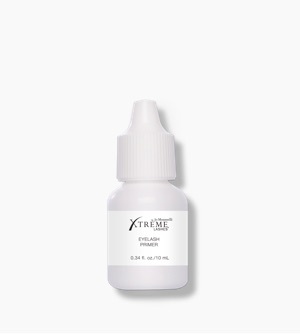 FlexFusion is the optimum eyelash glue for sensitive eyes and contact wearers. This innovative formula is available in 2 colors: Black (using a cosmetic-grade carbon black pigment) and Purple (using a medical dye). HP-Ultra® Adhesive is another popular eyelash extension glue in our lineup. 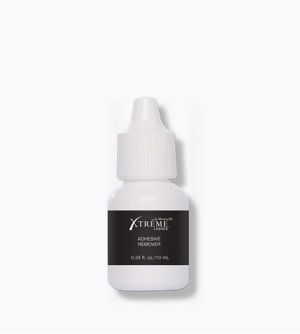 This classic black eyelash extension adhesive was specifically formulated to deliver fast attachment speed, without sacrificing adhesion performance. While it’s not suited for sensitive eyes, it is the top choice for Lash Stylists with a need for rapid curing speed. 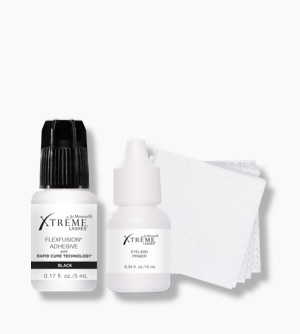 When using or trying Xtreme Lashes Adhesives for the first time, save time and improve efficiency by purchasing an Xtreme Lashes Adhesive System or Adhesive & Eyelash Primer Set. Our Adhesive Systems include all of the essential application supplies for prepping and cleansing the natural lashes and eye area. Using the full system ensures the highest standards in sanitation, safety, and adhesive performance for longer-lasting lashes. It includes your choice of eyelash extension adhesive (glue), complementary supplies, and a client profile system. Next, our Adhesive & Eyelash Primer Set combines two essential lash application products that work together to increase eyelash extension adhesion and attachment longevity. In addition to adhesives, supplementary products lash professionals need are our Adhesive Remover and Multipurpose Wipes. Remove eyelash extensions safely and gently, without stripping natural lashes of their natural oils, with our outstanding Adhesive Remover. When it comes to giving your tools a detailed cleansing during and after a lash application, Multipurpose Wipes are the preferred choice. 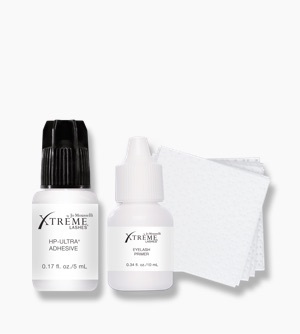 Shop Xtreme Lashes for your next eyelash extension adhesive today.